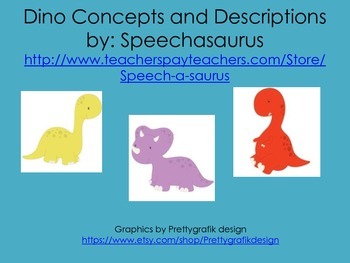 This activity targets basic concepts using adorable dinosaurs! 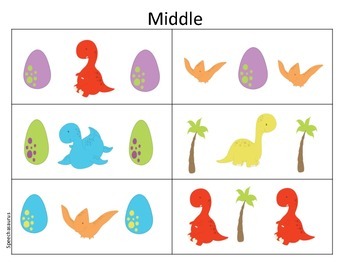 It targets the concepts: under/over, middle, left/right, whole/half, first/last, 1st, 2nd, 3rd, pair, same/different, bigger/smaller. It also contains 4 pages of cards that target basic adjectives such as color and size. 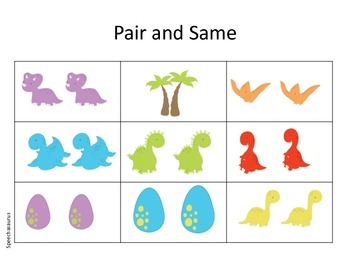 This packet also contains an open-ended game “Dino Hunt” to be used in conjunction with the dinosaur concept/adjective cards.